387 Vets is owned and run by vet Hamish Duncan. 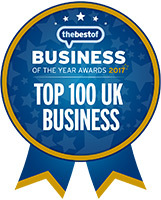 Hamish qualified from Edinburgh University in 1997 and has worked in Halifax, Halesowen and most recently on the east coast of Fife in Scotland, before moving to Great Wyrley to set up his own independent practice. In 2004 he passed an additional specialist 4 year postgraduate qualification – a Certificate in Small Animal Medicine (CertSAM). 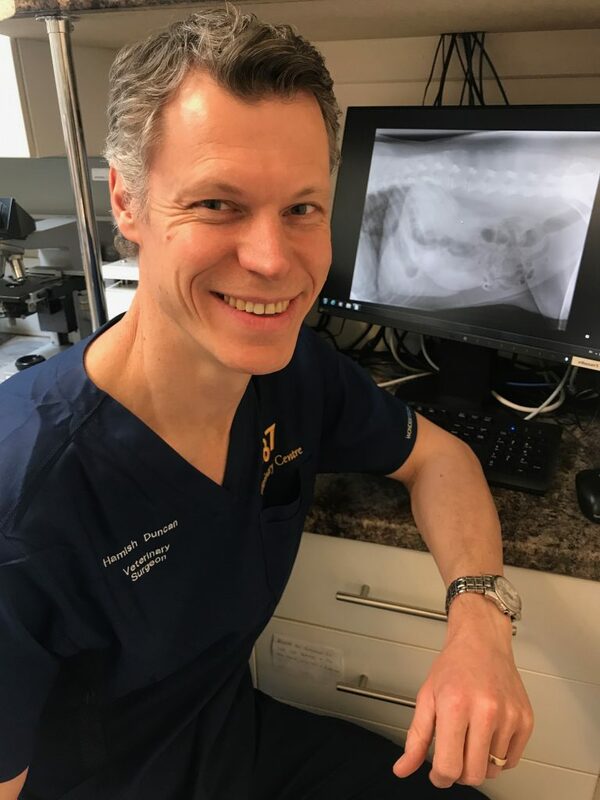 In recognition of his knowledge, expertise and level of continued professional training and development in this field, in April 2015, Hamish became 1 of only 70 vets in the UK to be awarded the status of RCVS Advanced Practitioner in Small Animal Medicine. Hamish has a huge amount of experience from his years in practice and from working alongside other certificate holders and recognized specialists in orthopaedics and surgery. He has undergone intensive practical training to learn cutting-edge cruciate surgery techniques and performs the TTA Rapid technique and MMPs (Modified Maquet Procedures) on cruciate disease for faster recovery and minimal post-op pain. 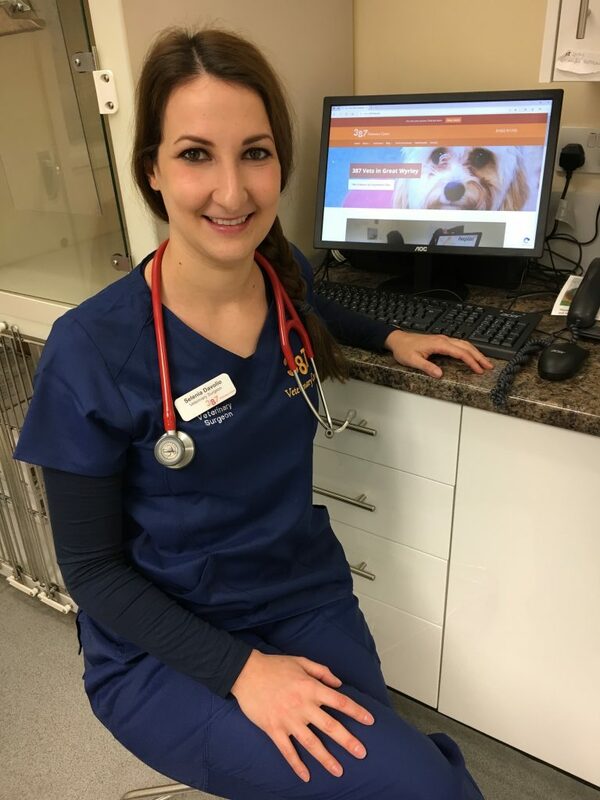 Emma graduated with a veterinary degree in 2001 from Madrid and has more than 10 years’ experience working in the UK, almost exclusively in small animal practice. 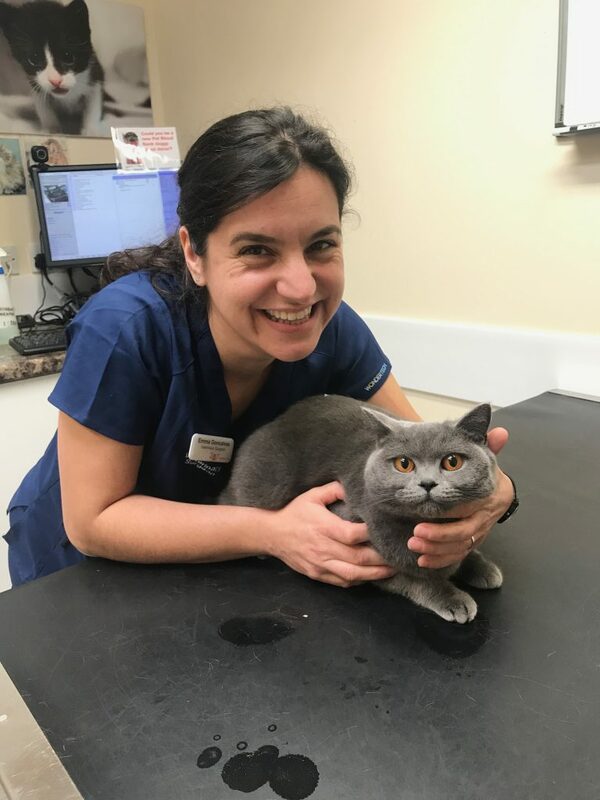 Since 2006, Emma’s veterinary role has included a strong bias towards cats: she was responsible for internal referrals of all feline cases at a local practice, and most recently, was clinical director and senior clinician in charge of Internal Medicine and the Feline Department in her own practice in Northern Spain. In 2013, after 3 years of intensive study, Emma was awarded a Certificate in Feline Practice from the European School of Postgraduate Veterinary Studies. Emma joined the 387 team in February 2016. 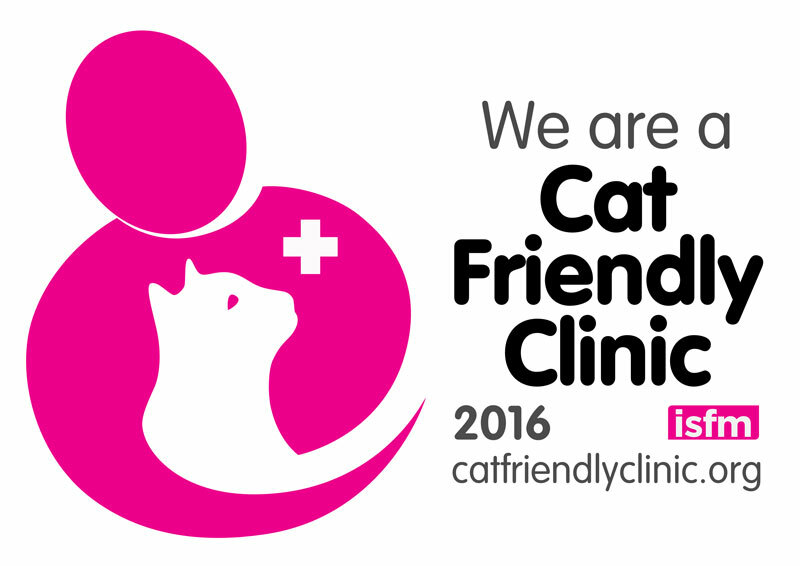 Later that year, when 387 Vets was awarded Gold Standard Cat Friendly Clinic, Emma became our veterinary Cat Friendly Clinic Advocate. But she loves meeting and treating all other pets too! After graduating in Veterinary Medicine in Italy in 2013, Selenia has been based in the Midlands for the last five years, working solely in small animal practice. As well as bringing a wealth of knowledge and experience to her role at 387 Vets, Selenia has a special interest in veterinary dentistry. In her previous practice, her remit included being in charge of a dental referral service spanning five practices, where she was responsible for operating on complex and challenging dental surgical cases. 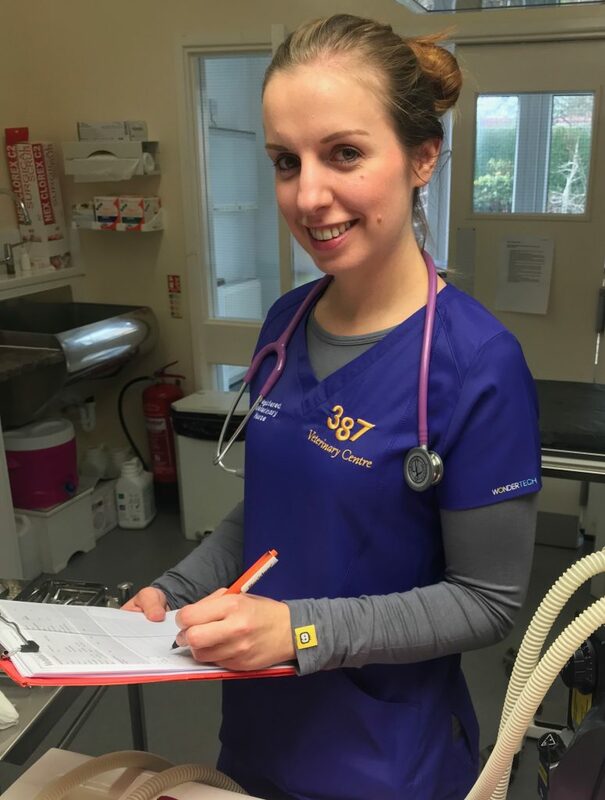 She is highly invested in pursing new learning around pet dental care and procedures, and we are delighted to have her on board as part of the 387 vet team. 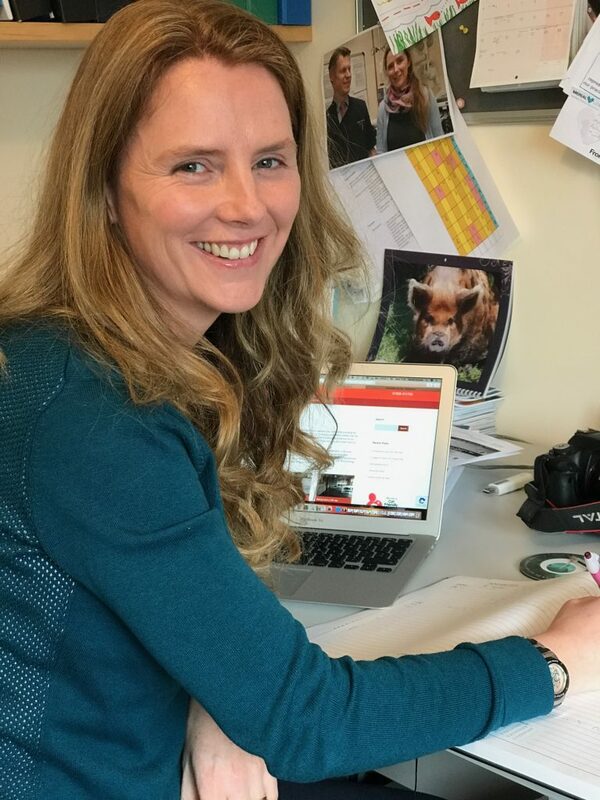 Carole graduated from Liverpool University in 2003 and has gained a wide range of experience working as a vet in both mixed and small animal practice across the West Midlands. In December 2012, Carole returned from a two year sabbatical in South Africa where she worked at a local charity clinic and two private veterinary hospitals and gained experience treating snake and monkey bites as well as exotic infectious diseases. And she came to join 387 Vets! Carole has since completed a Certificate in Advanced Veterinary Practice (CertAVP), an advanced postgraduate qualification accredited by the Royal College of Veterinary Surgeons. 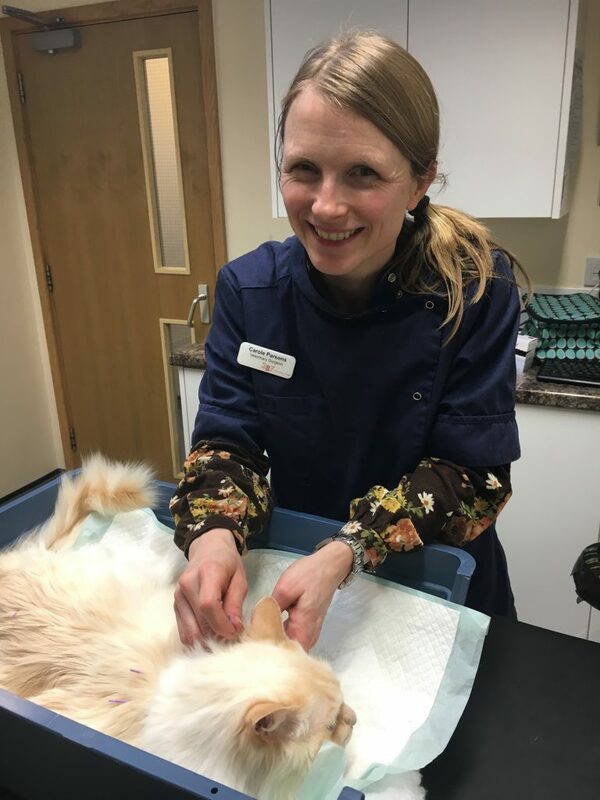 Her interest in acupuncture has since led Carole to undertake training with the Association of Veterinary Acupuncturists and she now offers an acupuncture service to pets suffering from chronic conditions which traditional medication is proving difficult to manage. *What is a veterinary certificate and what is Advanced Practitioner Status? Certificates are the only post graduate qualifications available to vets in general practice. They require a minimum of two years of study but usually take 3-4 years to complete, and must be completed whilst working in practice (as hand-on experience is a requirement), necessitating a huge amount of study and work in free time. They reflect an additional level of competence and knowledge, and an advanced skill set within a specific field. 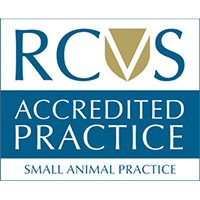 Vets with certain certificates can apply to the Royal College of Veterinary Surgeons for Advanced Practitioner Status, which not only demonstrates knowledge and experience in a particular area of veterinary practice beyond their initial primary veterinary degree, but also acknowledges that they continue to be up to date in their field over and above minimum requirements for continuing professional development (CPD). Amy is our Lead Nurse at 387 Vets. She joined the team in 2009 as a trainee, and since 2012 has been a member of our fully qualified Veterinary Nursing team. She has excellent standards of care in all areas of nursing including theatre nursing and general patient care, and is also involved in running our dedicated one-to-one nurse clinics. 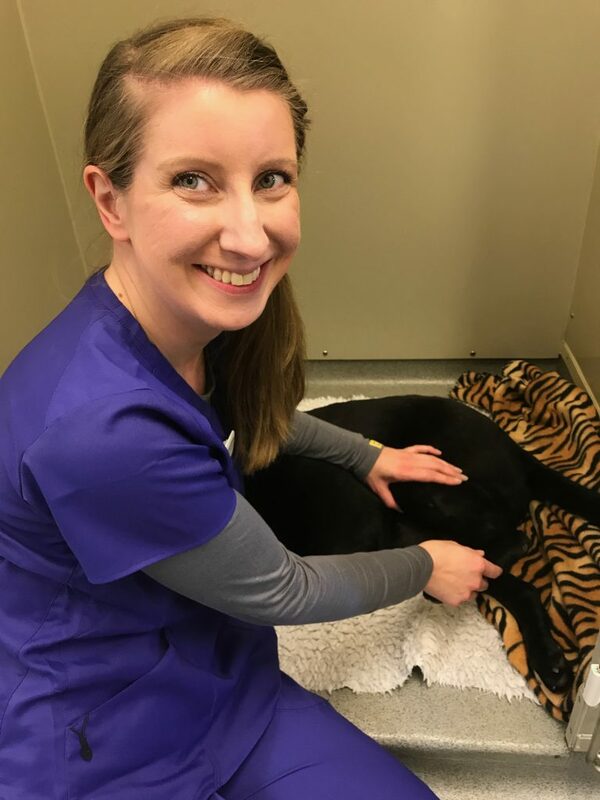 As well as holding pet health counsellor status with Royal Canin and being a dedicated weight management clinic nurse, Amy has a special interest in chronic pain management and pet physiotherapy. In 2015, Amy gained a Vet Nurse Merit Award in this field and now runs pain clinics to support post-op and post trauma rehabilitation as well as improving mobility in arthritic pets. She is also a clinical coach and is looking forward to mentoring our student nurse Alanna when starts her nursing diploma this Autumn. Sophie joined our nursing team in 2016 and, following a nursing role centred around surgical and post-op nursing in her previous job, at 387 Vets she has also been able to develop her passion for running nursing clinics and meeting and getting to know clients and their pets. Sophie is particularly interested in animal behaviour and recently completed a 12 month Diploma in Canine Behaviour for which she was awarded a distinction in recognition of her assessment excellence. 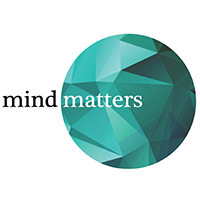 In 2018, Sophie became a clinical coach and is responsible for supporting and mentoring Maninder through her nursing diploma to achieve qualified nurse status success. 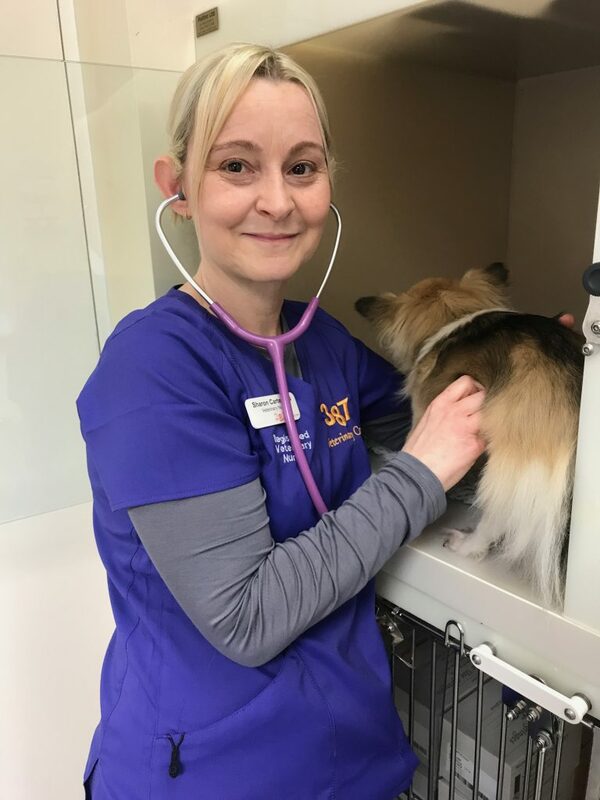 Sharon qualified as a Registered Veterinary Nurse (RVN) in 1999 but originally started veterinary nursing in 1989, making her a very experienced and knowledgeable nurse. Sharon’s greatest strength lies in running nurse clinics, and her particular interest is in pet nutrition and weight management. 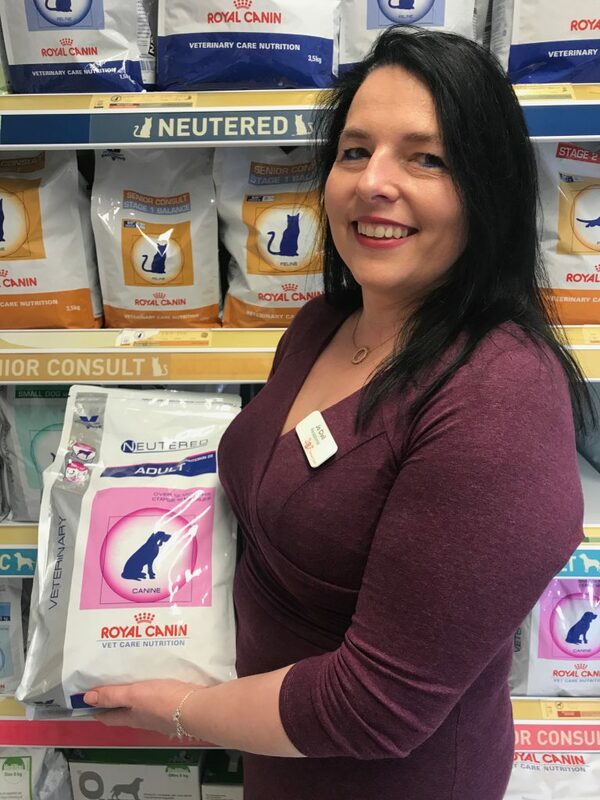 After the practice first gained Royal Canin Accredited Weight Management Centre status in 2015, Sharon became one of the practice’s two dedicated weight management clinic nurses. And in January 2016, following 9 months of study and assessment, Sharon was awarded a distinction in a Certificate in Canine and Feline Veterinary Health Nutrition. 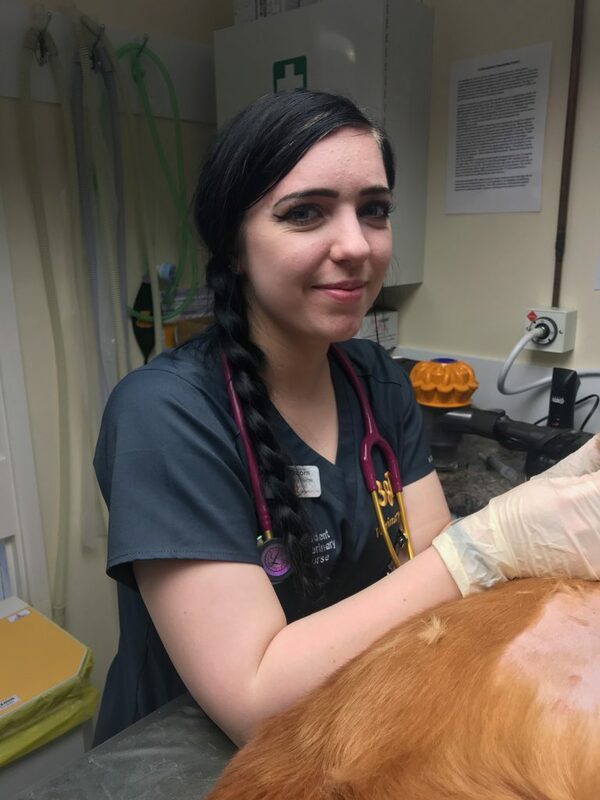 Jodie joined the 387 team as a trainee veterinary nurse in 2013, having had previous experience working with pets as an Animal Care Assistant at St George’s Veterinary Hospital in Wolverhampton and undertaking voluntary work at a cattery. We were delighted when Jodie qualified and gained her Registered Veterinary Nurse (RVN) status in June 2016. 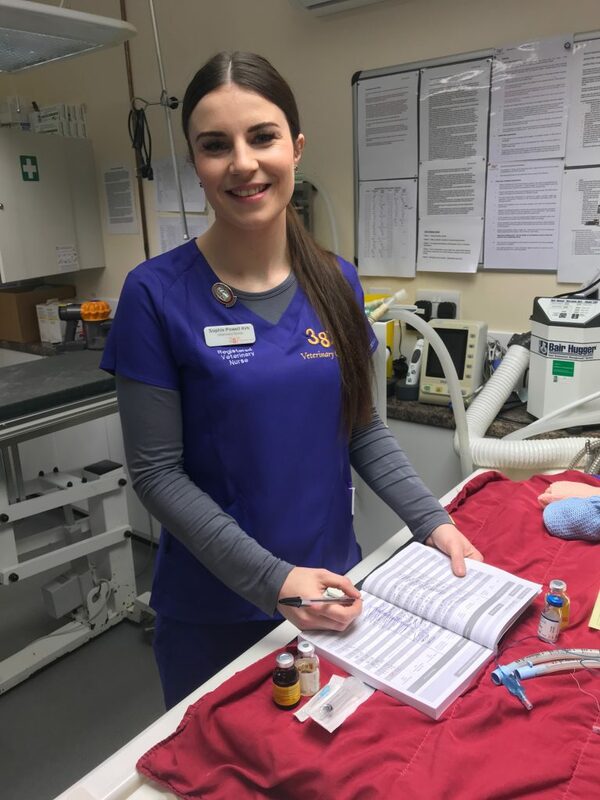 Jodie especially adores cats and is currently part way through an 18 month Diploma in Feline Nursing with the International Society of Feline Medicine (ISFM). The course provides a comprehensive and detailed look at feline health and behaviour, and we look forward to Jodie sharing salient learning to help contribute further to our existing ISFM cat friendly clinic initiatives. 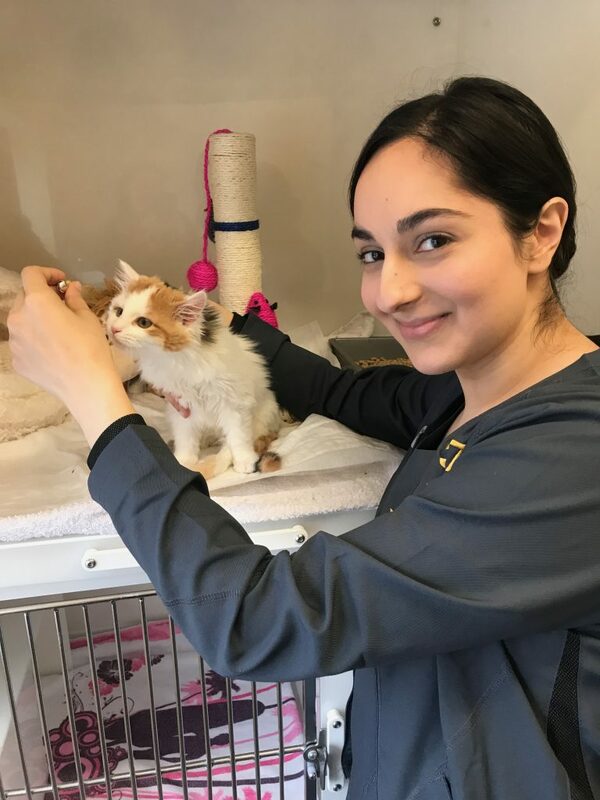 Maninder is a student veterinary nurse here at 387 Vets and is currently in the first of her two and a half year veterinary nursing diploma. Before coming here, she completed a Level 2 Certificate in Animal Nursing locally, and then moved to Kent to work in a Veterinary Hospital as a Veterinary Care Assistant, where part of her remit included looking after in-patients on wards on fast-paced night shifts. Maninder has undertaken student nursing duties closer to home at the RSPCA Animal Hospital in Frankley. And having also worked in an advisory capacity for a bank, she has great customer service skills as well as a passion for animals! We’re looking forward to supporting Maninder on her journey to becoming a Registered Veterinary Nurse! Alanna Ankcorn is the newest member of the 387 team and takes up a brand new position as an additional student veterinary nurse on our nursing team. This is the first time the practice has supported two veterinary nursing students through their 2.5 year diploma simultaneously! 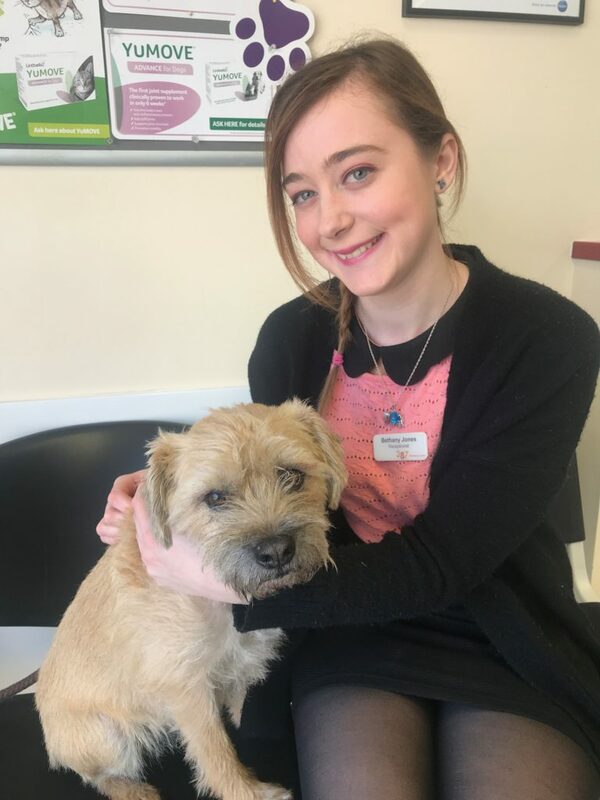 Before coming to 387 Vets, Alanna obtained a distinction in her Veterinary Care Assistant Diploma, and has worked in small animal practice supporting nursing and reception teams as well as volunteering at a canine hydrotherapy centre to learn more about pet rehabilitation. Whilst Alanna officially starts her nursing training in September, she is already loving meeting you and helping to look after all your pets. Jo brings a wealth of customer-facing experience to her role as receptionist at 387 Vets. In addition to working for 17 years across a range of responsibilities in the banking and financial sector, Jo set up her own boarding facilities for small animals in 2007 which she has successfully managed for 12 years. In 2016, Jo gained a Customer Services Level 3 award with the College of Animal Welfare (CAW), and was also hailed at CAW’s award ceremony as best student on the course. Jo’s favourite part of her job is meeting the clients, saying hello to all the pets, and being as supportive as she can to clients and staff. 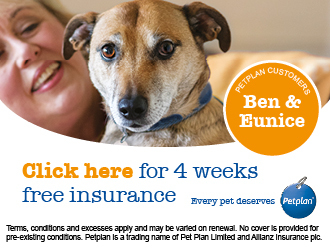 In recognition of her dedication and compassion, Jo was crowned Support Staff of the Year at the prestigious Petplan Veterinary Awards gala evening in April 2017. Bethany started at 387 Vets in September 2018 and joined Jo to grow our dedicated reception team. Prior to coming to here, Bethany worked in a very similar role in a busy GP practice, dealing with health queries, making appointments and interacting with clients and handling concerns. As well as having great reception experience, Bethany also loves animals, and has volunteered as an animal carer in many different environments. Placements include working at a cattery and a dog groomers, as well as being an animal carer at College. And she had the amazing opportunity to look after monkeys at a Cornish monkey sanctuary as part of her Animal Behaviour and Welfare Degree. We’re delighted to have Bethany as part of the team. Although behind the scenes from day one, Rachel officially joined the 387 team as Practice Manager in 2011. As well as undertaking the marketing of the centre, Rachel is particularly passionate about team wellbeing in practice. 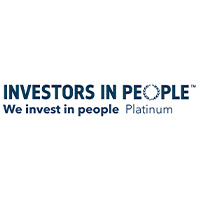 She was the driving force behind 387 Veterinary Centre becoming the first vets in the UK to achieve Investors in People Platinum accreditation in March 2017. 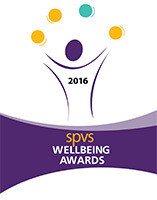 And her passion for sharing team values, compassionate support and proactive personal development led to the practice being presented with an inaugural SPVS/ Mind Matters Wellbeing Award in 2017 and being highly commended again this year. 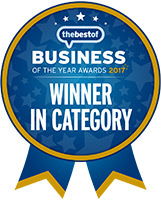 Rachel has been shortlisted for Practice Manager of the Year 2019 in the prestigious Petplan Veterinary Awards. Results to be announced at a glamorous ceremony on the opening night of the British Small Animal Veterinary Association Congress in April!